As I collect art, I find myself wondering how some fine artists just disappear from public knowledge. They may be found in galleries but they are not well known. How does one compete with Turner or Constable? Today a few artists which should be better known than they are. We begin with Paul Sandby (1731-1809), who was an English map-maker turned landscape painter in watercolours. His task as a map-maker was to survey the remote Scottish highlands. 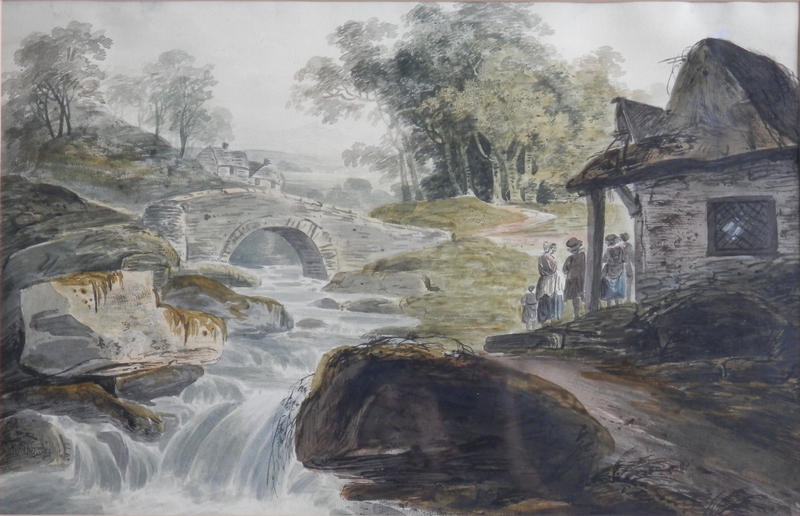 While performing his cartography duties, Sandby began producing watercolours documenting the changes in Scotland as well as Scottish historical events. Pictured on the left is, I believe, a cotton mill either found in Wales or Scotland. Thomas Gainsborough described Sandby as the best landscape artist of his time. Sandby, also, was a founding member of the Royal Academy in 1768. 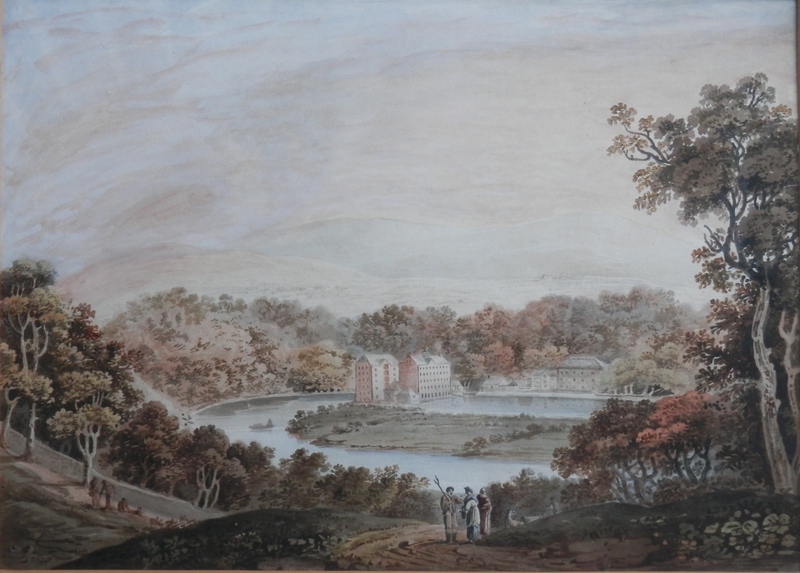 From #PaulSandby to #WilliamPayne (1755-1830) who did much to advance the technique of watercolour painting, and was one of the first ‘draughtsmen’ to abandon mere topography for a more poetical treatment of landscape scenery. Payne was watercolourist, oil painter and etcher and because of his innovative style he became the most fashionable drawing-master in London. Payne was also a young friend of Paul Sandby. Payne’s job brought him to Plymouth where his paintings detailed the 18th-century life and landscape. As with Sandby, Payne’s prodigious talent eventually brought him to London to continue his painting and teaching. And in London we find artist #GeorgeSpencerWatson (1869-1934). GS Watson was a portrait artist specialising in society portraits and official likenesses. 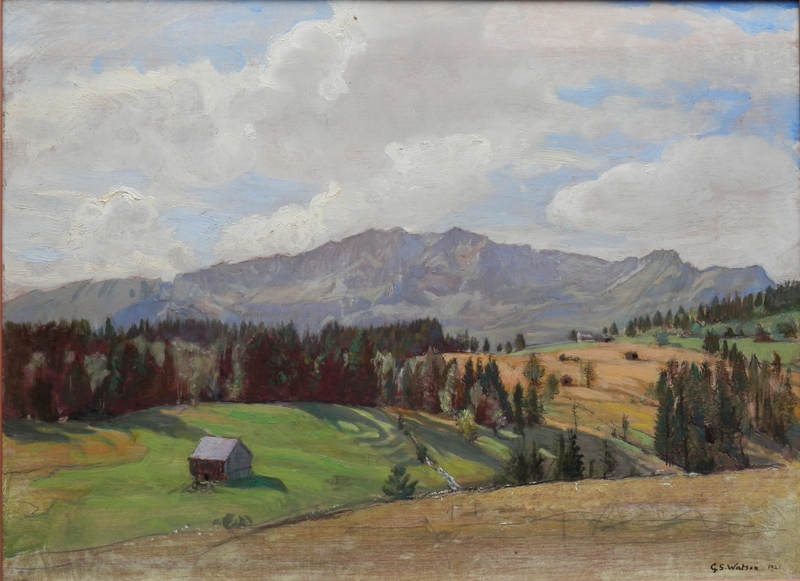 But he also painted nudes, landscapes, and figure subjects, as well as occasionally trying his hand at sculpture. I hope you have enjoyed the three artists in today’s chapter. They are well worth looking into and going to see their works. This entry was posted in Oil Paintings, Watercolour paintings and tagged barn, bridge, cottage, cotton mill, factory, field, forest, hillside, lake, mountains, path, river waterfall, road, Scotland, Wales. Bookmark the permalink.